The loss of a relationship often has jarring physical, emotional, and psychological effects. It can be a time of unbearable loss and confusion. We feel sad, distressed, lonely, and often angry. It feels like the end of the world. The loss of a life we once knew. The impact of this loss is magnified because as one becomes two, couples become closer over time, their lives more entwined. Our personal and intimate relationships directly affect and influence many other aspects of our lives so when that changes, everything else changes with it. 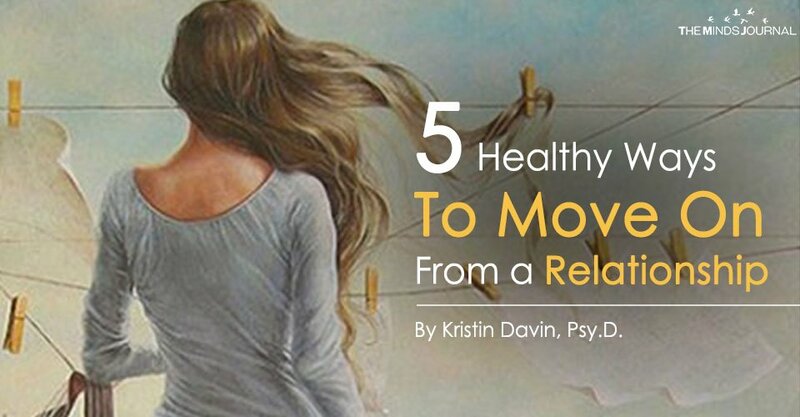 Although there is no ‘one’ magical answer on how to move on past your breakup, there are things you can do to help you through this painful time, get you on the path of recovery, and feel optimistic again about your future. Although it has been suggested that people should ‘get right back on the horse again’ and start dating – as a way to move past your last relationship and feel better about yourself – this isn’t for everyone. There is often more good that comes from giving yourself the time and emotional bandwidth before you rush back into dating again. Time spent out of a relationship and focusing on yourself provides you the opportunity for clarity and introspection, rendering a more objective viewpoint about the relationship and more importantly, about yourself. It allows you to take a step back, evaluate, and decide if this is yet another relationship that sounds and feels like the others and if so, what patterns do you see that can help prevent future relationship mistakes. Time affords you that opportunity. With introspection, you can answer questions such as: What did you learn from the relationship? What are your take always? What would you have done differently? What were some of your struggles that you brought to the relationship that might have contributed to its ending? There are always take always and opportunities for growth when a relationship ends – even if it doesn’t feel that way in the beginning. Taking the time to ‘take stock’ of what happened will help you move forward. When a relationship ends, we think, what’s next? Where do I want to be? Where do I see myself? What have I learned? What would you do differently, if anything? What do you need to do to move on? For some, during this process they realize that there are positive aspects of the break-up as well such as relief, freedom, empowerment, and optimism for the future. Use the opportunity and let it open you to a life you didn’t think would be possible. Get that person off your social media! No more following on Twitter, FB, Snapchat, or Instagram. Delete the pictures, the emails, and text messages. I remain amazed at what people keep and how often they continue to look at these images long after the relationship has ended. Consider the level of pain just looking at those pictures and messages inflict and how it keeps you stuck in the past instead of moving forward to the future. Why are you torturing yourself? Some people don’t want to cut them out of their social media life so you can create a facade of happiness in hopes that they will see you.